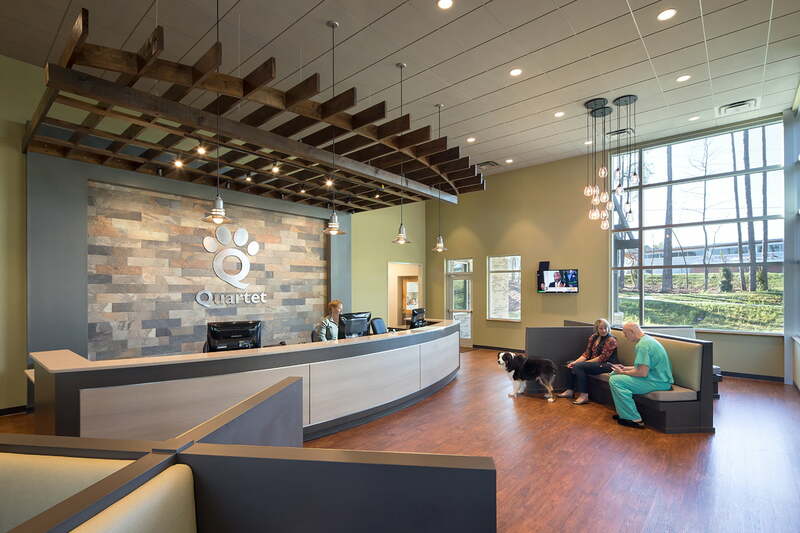 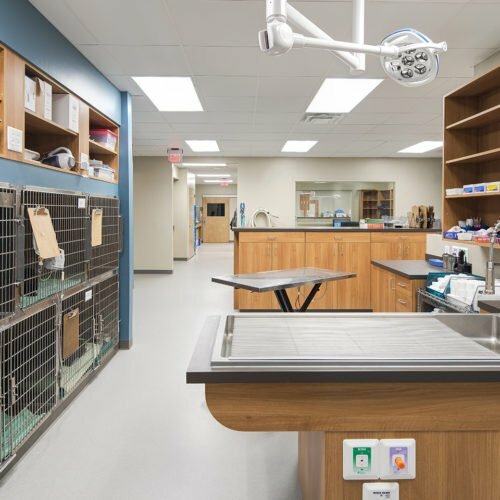 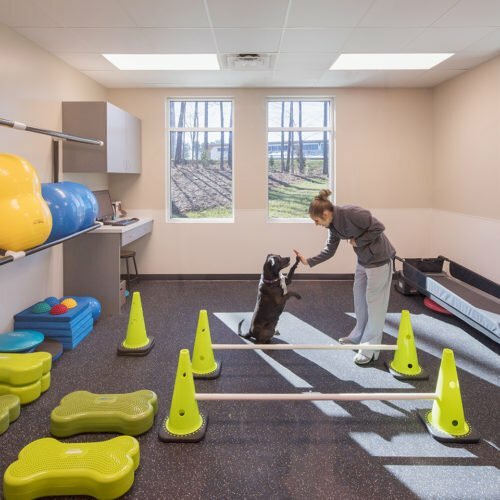 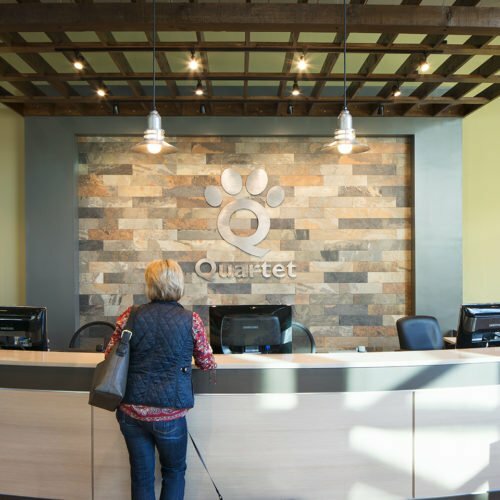 This 15,900 square-foot specialty veterinary hospital is home to three practices; Veterinary Surgical Referral Practice, Animal Emergency Clinic of Cary, and Veterinary Rehabilitation and Pain Management Hospital. 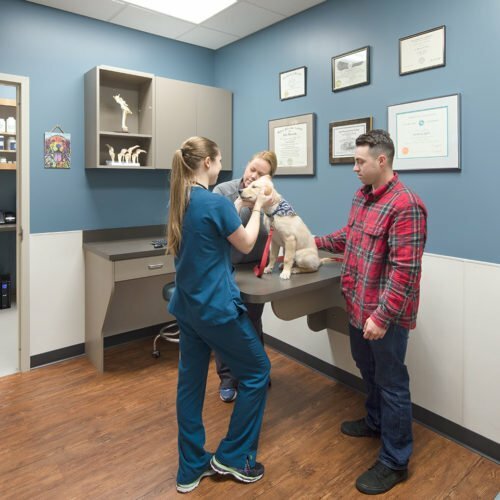 The facility provides many critical resources to clients outside of primary care, and fosters excellent relationships with many local general practices. 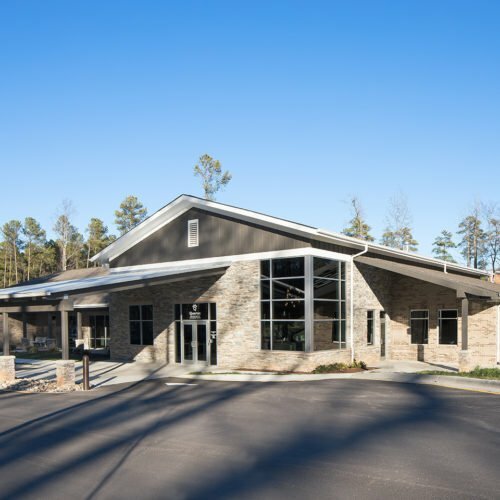 The hospital was built with literal and metaphorical transparency in mind. 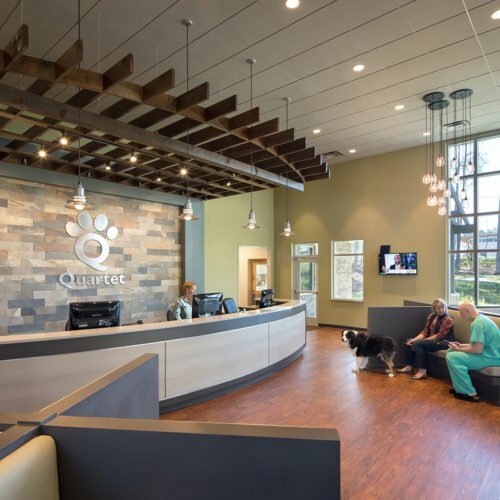 The doctors in the practices value their accessibility to and communication with clients, and the hospital uses glass walls to connect rooms to each other to facilitate efficiency, collaboration, and communication. 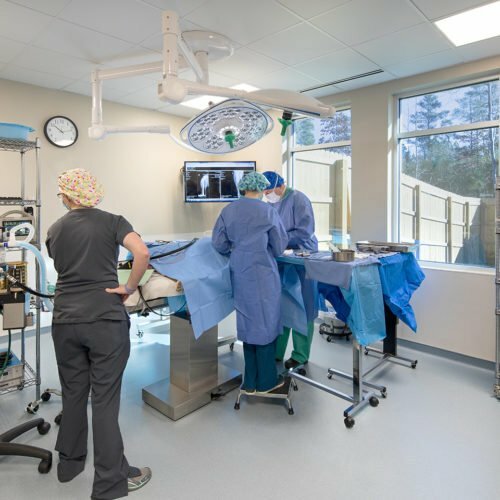 The hospital houses four surgery rooms, a CT suite, a fully-outfitted rehabilitation room, a fully-stocked ICU, and exam environments to serve both the specialty and emergency sides of the practice.